Hi Leo!!! that is really cute!!! D+ estes , mas vc. tà usando a Wacom? marcelin: Thanks for visiting my blog! I hope to see you soon! welly: Faaaala Well! Eu usei centiq nesse. Como andam as coisas, Well? me conte as novidades da Italia. Lorelay: Thanks a lot! 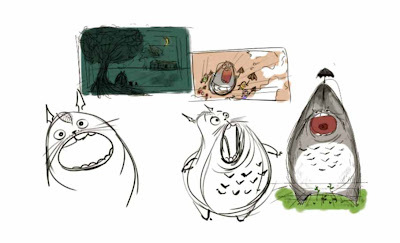 Your totoro project piece was looking amazing. How are they treating you over in White Plains? Have you had some interesting experiences in NY? I hope all is well.